America’s national blood bank systems might operate very differently—or not at all—if not for African American surgeon, researcher, educator, and advocate Charles Richard Drew. Born in 1904, Charles Drew grew up in Washington, DC. Although the city was racially segregated at that time, it hosted a vibrant African American community, and Drew was fortunate to attend an excellent public school. Drew attended Amherst College on an athletic scholarship, and later, after his eldest sister died of tuberculosis in 1920 and he was hospitalized for a college football injury, his interest turned toward medical science. At the time, it was difficult for African Americans to pursue most medical careers. Some prominent medical schools accepted non-white students, but the opportunity was only offered to a handful of individuals. 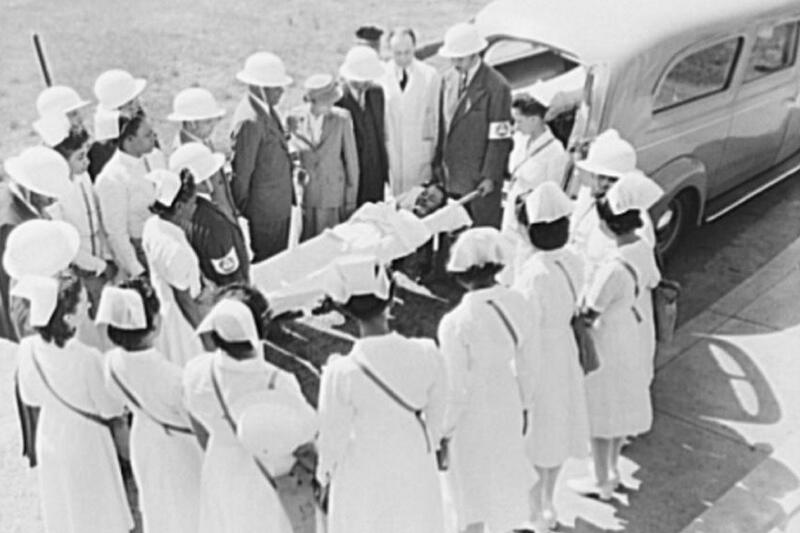 Then, after receiving their training, African American doctors faced added challenges, often because white patients would refuse care from black physicians. Although Drew was accepted to Harvard, he attended medical school at the McGill University Faculty of Medicine in Montreal, Canada. Drew pursued his interest in transfusion medicine—the basis for his later work in blood bank research—during his internship and medical residency. Drew then joined the faculty at Howard University College of Medicine. He also completed a fellowship at New York’s Presbyterian Hospital while further distinguishing himself as the first African American to earn a doctorate of medical science from Columbia University. Yet what would define Charles Drew’s career—and serve as his greatest contribution to humankind—would be his development of a national blood bank. Drew was completing his doctoral thesis, “Banked Blood,” just as World War II began in Europe. In 1940, in response to Great Britain’s desperate need for blood and plasma to treat military and civilian casualties, an association of New York City’s leading hospitals, surgeons, and blood researchers asked Drew to direct the Blood for Britain project. Drew successfully supervised the collection of 14,500 pints of plasma for the British. Then, in 1941, Drew was appointed director of the first American Red Cross blood bank. Among his innovations were mobile blood donation stations, later called “bloodmobiles.” His appointment was an honor, but the position was not without challenges: Drew tirelessly campaigned against the US Armed Forces policy to reject blood donations from African Americans. Although the policy was soon revised, it still stipulated that African American donations be segregated from those of white individuals. Drew was outspoken about this unscientific approach to medicine and was ultimately asked to resign. Charles Drew’s contributions to medicine and education were recognized with numerous awards during his lifetime, including the NAACP’s 1944 Spingarn Medal; he also was the recipient of multiple honorary doctorates. His life, however, came to an abrupt end when he died tragically in a car accident in 1950, shortly before his 46th birthday. A false story circulates to this day that white doctors refused to treat him due to his race; in fact, the African American doctors traveling with him confirm that everything was done to try to save Drew. A 35-cent stamp honoring Dr. Charles R. Drew was issued June 3, 1981, in Washington, DC, his birthplace. The date coincided with the 77th anniversary of his birth. Charles Drew continues to be remembered for his far-reaching influence. Numerous public sites and institutions are named for him, including the Charles R. Drew University of Medicine and Science in California. In 1981, the United States Postal Service issued a first-class postage stamp in Drew’s honor, including him in its Great Americans series. The medical field today reflects Charles Drew’s steadfast commitment to medical and educational equality—and his powerful legacy is evidenced by the millions of individuals of all colors who have benefited from the American blood bank system.